Silviculture is the growing of trees as a crop through the phases of establishment, selection, thinning and removal. As with any other form of land or crop management, it can be done in many different ways, depending on conditions, species, objectives and outlook. Central Europe began developing modern forestry in the eighteenth century, with sustainable production being the main aim. Many types of regeneration and establishment methods have been used, involving either planting or natural seeding. During this phase, Britain imported most of her timber from abroad, and though deforestation and agriculture had reduced woodland cover to its minimum, little new planting was done. Establishment of the Forestry Commission in 1919 saw the beginning of re-afforestation and the piloting of even-aged silviculture. Since then, different phases of tax incentives and grant funding has resulted in a learning curve for forestry in Britain. In many cases, ancient and established woodland suffered inappropriate treatment. Natural events including windblow, old age and disease, cause gaps to form in the canopy. The light that results creates opportunity for natural regeneration, by seed or by sucker. Different species will take advantage of the variety of microsites, including the extent of light or partially shaded areas, according to their evolved adaptive traits. Shade tolerance is important in the darker areas of such gaps, while light demanding species have a more limited chance of establishment and need the area of fullest light. The size of the gap or disturbance is therefore important, as is the height of the surrounding trees and how much shade they cast. Speed of establishment is important especially for light demanders, because to survive, they must be above their competitors. Advantage is given where there is advanced regeneration, ie pre-existing seedlings or saplings, in position and ready to shoot off into a new and rapid growth phase. These species are often shade tolerant, which is why they are alive in dark conditions in the first place. Light demanding species, usually with smaller and lighter seed need a scattering of parent seed trees to provide instant seed availability. Woodland management can copy natural systems in a kind of gap creation silviculture. Small groups lacking diversity or which are unproductive, or individual trees which have reached a “target diameter”, can be selected for a phase of gap regeneration. Not only will natural regeneration be expected, but planting of different and appropriate species can be done to increase diversity. Species chosen can be individual timber trees to be looked after, or perhaps future seed trees, to improve ecosystem resilience against the stresses of environmental change. Diversity in all things is good for this. 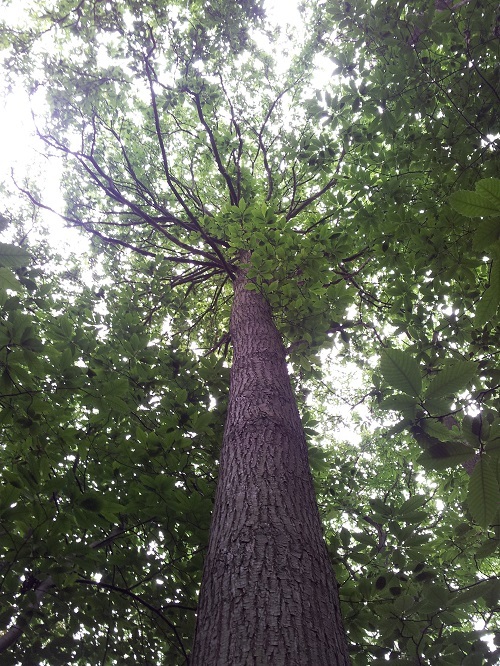 Subsequent light management around selected trees is essential to ensure survival into the canopy. 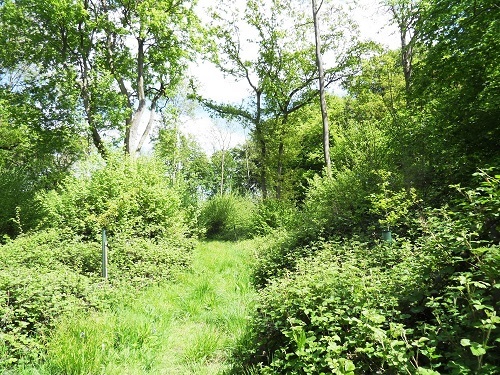 Before the advent of modern forestry, coppice with standards was a widespread and traditional form of silviculture in England. It aimed to optimise output for local timber and fuel production, to help develop the industrial economy. The system involves “standards”, widely spaced trees being grown for sawlogs on a long rotation. These are amongst a matrix of coppice stools, which are cut on relatively short periodic cycles, depending on species and intended use. For example hazel may be cut every 3 to 7 years, whereas ash, chestnut, hornbeam or field maple could be cut say every 20 to 30 years. This rotation length could depend on the size of the timber required, the size of the compartments designed in the woodland holding, or perhaps the type of equipment expected to be in use for operations. Why is it a good system? Some ancient woodlands have areas of plantation within them, or may have been entirely clearfelled and planted with unsuitable, non-native species. These are referred to as Plantations on Ancient Woodland Sites, or PAWS. PAWS restoration is a managed process of removing inappropriate plantation species, usually conifer, and returning the woodland to native species. It involves gradually letting light onto the woodland floor, protecting any 'remnants' of ancient woodland including habitat and soil ecology, deadwood, archaeology etc, and selecting for potential regeneration of native tree species. 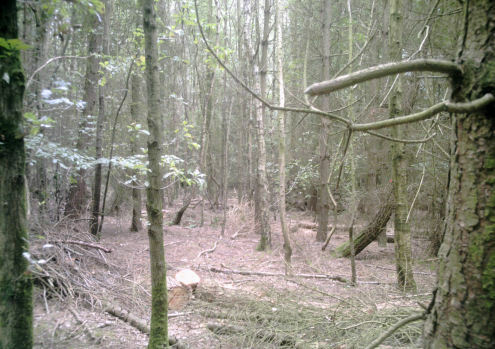 Contact The Forestry Office for advice on silviculture or support in the management of ancient or established woodland.